About — KARI MCCABE INC.
Kari McCabe studied painting, printmaking and architecture at Yale. 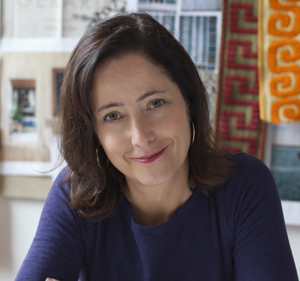 She started creating interiors in 1995 as a vehicle to integrate those interests and since then has sought to create homes that appreciate the unique assets of each individual client. There is no set style or direction; the design is instead a response to the specifics of each site, client and budget. Drawing inspiration from a huge variety of sources - as varied as Richard Diebenkorn, Swedish weaver Barbro Nilssonand Visconti's "il Gattopardo" - the work is characterized by an attempt to create a specific and contextual mood resulting in rooms that are highly personalized and unique. Needless to say, no two projects are the same. The firm has designed numerous projects in and around New York, including many secondary homes throughout the Northeast. Many projects are designed for repeat clients as well as successive generations of families. The firm often collaborates with McBride Architects, an architecture firm headed by Kari's husband, Nate McBride.